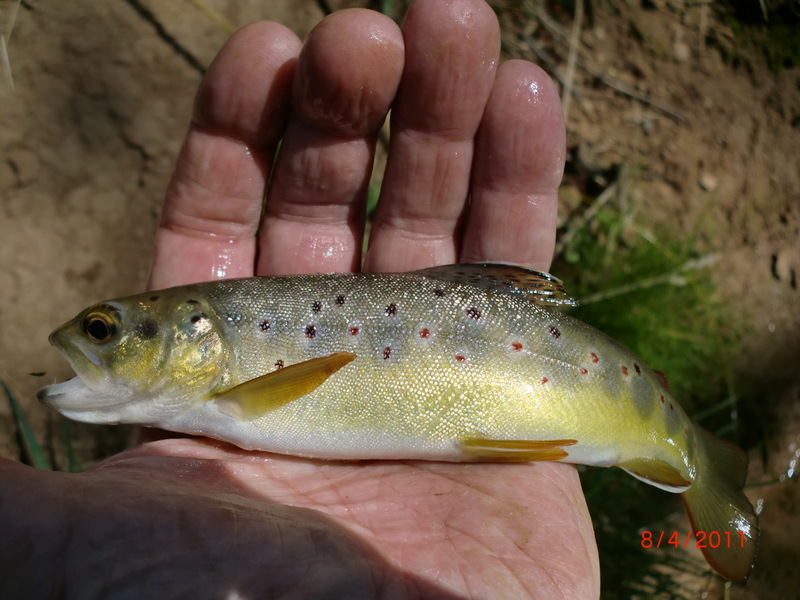 Surfing the net revealed that the county is bereft of trout streams. 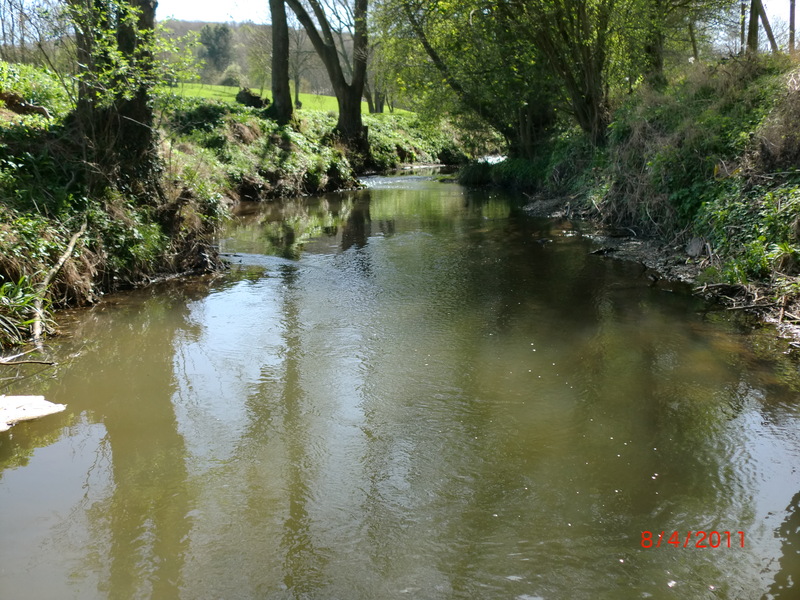 Its rivers and streams are mostly within the Severn catchment, and these are at levels where pace and depth are more the domain of bottom feeders. The search was revealing though. I thought that James at Gliffaes might have some ideas because he, and the Brabners are so well connected with the fishing community that way, and through him, Simon Evans of the Wye Usk Foundation suggested the Rea (!) but also Dowles Brook; and more searches connected me with the Tenbury Fishing Association, and Lynda Rickett (aka Hon Sec) from whose enthusiastic writing I sensed, really wanted to help me, but most of their water on the Teme (which I would still love to fish, at some stage) represented the county boundary, and I have to fight fair! It’s only INside a county that counts!! 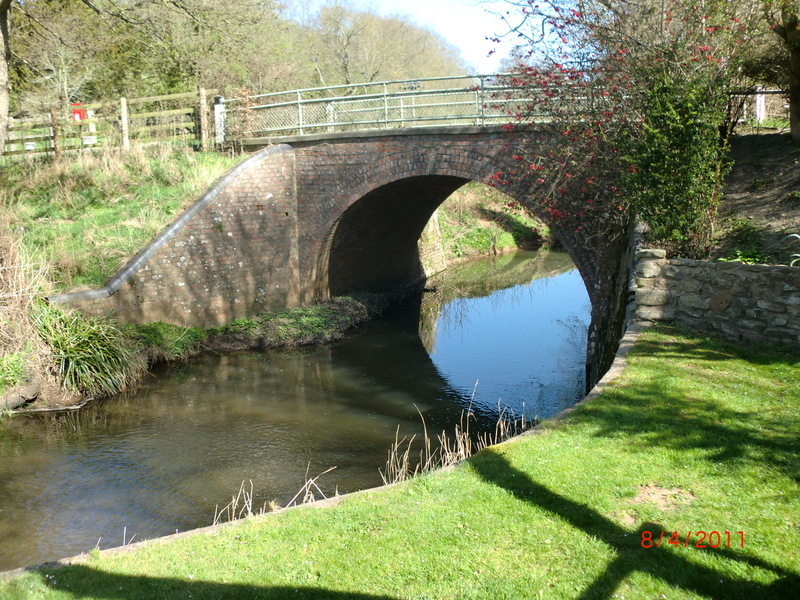 I also discovered, by luck, a property called Tundridge Mills, which sits on the Leigh Brook. 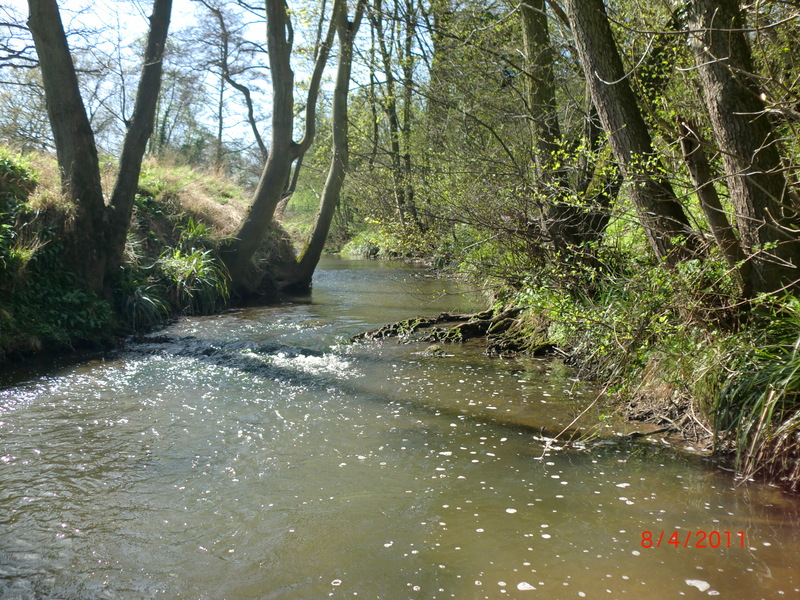 I knew about the Leigh Brook, which with its near neighbour, the Cradley Brook, have featured in the WTT Auction the last couple of years. So, I wrote a completely speculative email to their web address…..and received a reply from Keith Beard, which was welcome and exciting. You are welcome to come and fish. We have about 700 yds of river bank. You will be the only one to fish there since I last took my children, 15 years ago, apart from the Herons that is! 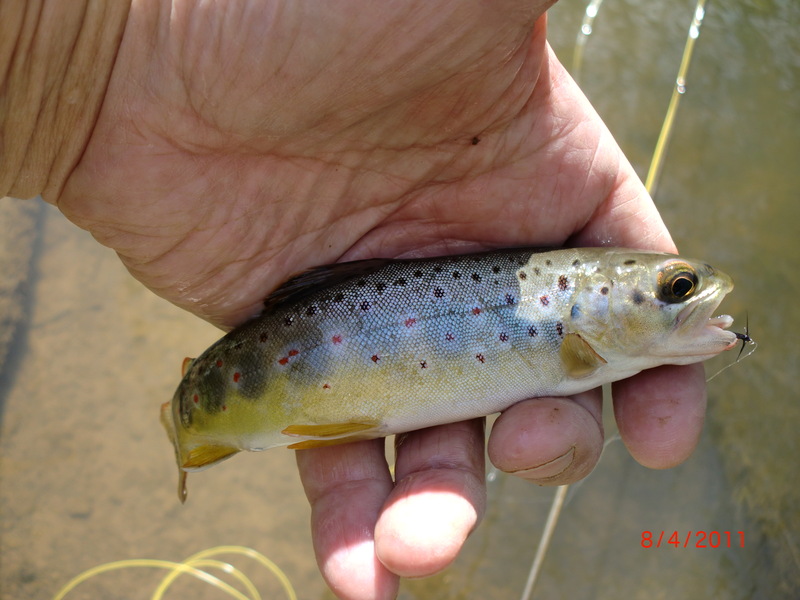 To my knowledge there are brown Trout and minnows. The previous day, Howard (Mann, of whom, more will surely follow!!) and I had been privileged to fish a private beat on the Usk near Talybont, just a few miles out of Brecon, courtesy of a fellow Director at a company where Howard is Senior Independent NED. We fished and chatted hard, but caught nought! 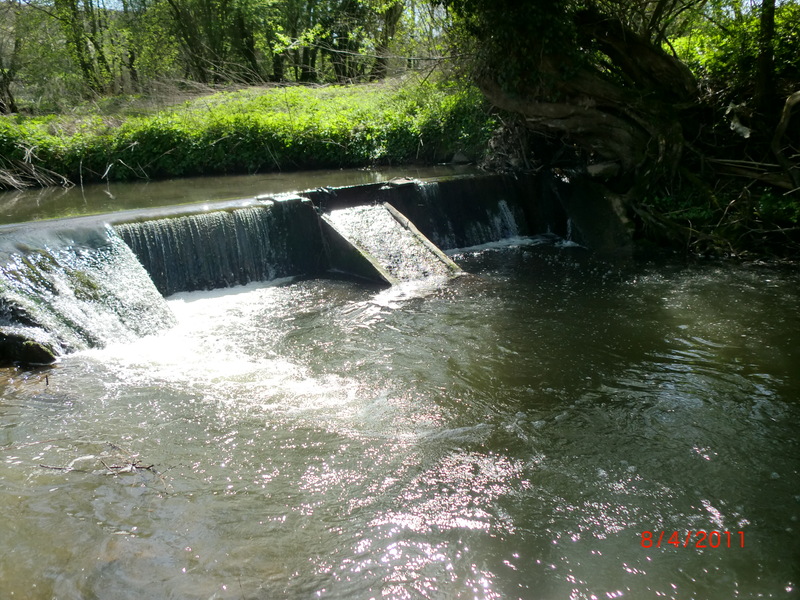 “Too bright, too cold, not enough water “….was how Dai Land Agent defended the river. I was greeted by Keith’s charming wife, Penny, and was intrigued to learn some of the recent history of their lovely home. I cannot do it justice, but to précis it…living in a home (as they have this one for 25 years) attached to a mill, beside a river, can become tedious, when winter floods flow through your living room! So, Keith, an engineer, designed a method to eliminate this. He limited the flood water in the millstream by piping it under the garden, elevated by moving tons of earth into a long barrow extending the whole length of the formal gardens of his home, and flood waters now irrigate the meadow adjacent to the river, sixty yards away, and not his house. Simple, really….but an enormous amount of work! Some of the earth came from land levelled to build some very comfortable, modern cottages which are rented to holidaymakers on short term lets. Apparently, the angling community has still to discover this (they have a stocked lake of a quarter acre, as well) and mostly, visitors are ramblers. The village of Longley Green is picture postcard with pretty white washed cottages, a pub and a post office, and a blaze of aubretia and daffodils. The setting at the Mill this day was serene. When I arrived there was not a cloud in the sky and in the bright sunshine, and with foliage yet to appear on the trees, the wild flowers were visible in the woods on the hillside opposite. Not a breath of wind, and warm already, and the only sounds, the cacophony of, crows crowing, cockerels calling, pheasant wings flapping and screeching, and the buzzing of bees awoken too early for their liking. It was pure peace, and there is really no place in the World I would rather be, in early Spring, than in England. Penny told me that there was a big fish the local lads tried to catch dangling bait over the bridge in the pool at the bottom of their beat. Sounded like a good place to begin my quest, and walking across the garden still to decide whether this was to be a Halford or a Skues Day, I saw a rise, and this encouraged me. But as it happened this was to be the only rise I saw all morning, and Skues, won. I fished ‘small’. My Loomis Xperience (7’6” for 4wt.) was perfect for this stream, and for flies, I tied a gold headed PTN (#18) to the point, and a black gnat (#22), to the dropper, on a leader, the length of my rod. pool seeking out more fish, and did, hooking and losing, or netting on both flies. Only 700 yards of river but with many juicy looking spots, this is a lovely bit of water, but so much easier now, before the trees become fully in leaf, and even now, I lost at least three leaders to overzealous back casts. I finally arrived at what Penny told me was the weir pool. and some with a char like white edge to the tail fin. My ‘specimen’ which told me that after only two and half hours, it was time to stop and enjoy, thoughtfully, my morning, was about 3/4lb, and a real scrapper, which will be a 1lb-er before it spawns next Winter, I hope. What a morning, and I am justly thankful to Keith, and take pleasure in recommending Tundridge Mill to my readers.